Are you looking for a moving service? Moving from one city to another can be an enjoyable experience. However, moving antique and fragile items in long distance moves can be a problem. Planning your move ahead of time is advisable for the safety and security of your belongings. Hiring the services of South Florida Van Lines can help you overcome any moving adversities. South Florida Van Lines moving service is fully insured, licensed, and bonded moving and storage company in Miami Florida. With positive reviews and real client testimonials about our service, you can expect high-quality service and peace of mind that only South Florida Van Lines can deliver. Each and every member of our team is a dedicated professional that is experienced and highly trained to get the job done right. In addition to offering excellent service and care, we also care about your budget. That’s why we provide affordable service and budget quotes to meet your specific requirements. At South Florida Van Lines, our goal is the same as yours; to efficiently and quickly get you packed, unpacked and settled in your new home, apartment, or office with a hassle-free moving experience. Trust us with your next move knowing that we will manage everything at an affordable rate. 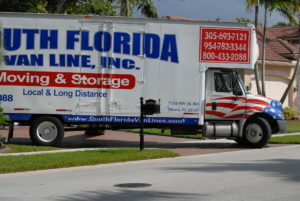 From short distance residential relocations to long distance commercial moves, South Florida Van Lines can handle all the overwhelming tasks of relocating your belongings safely and securely. Furthermore, we can help with planning, packing/unpacking, loading/unloading, and any other part of your relocation that requires assistance. 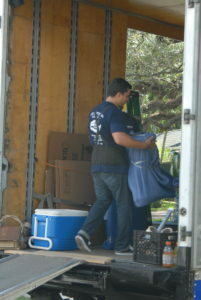 We have the expertise to help you a hassle-free move into your new location. Packing is a challenging job that seems to always take longer than expected. That’s why South Florida Van Lines offers professional packing services that can take all of the frustration and stress out of the process for you. All you have to do is tell us what needs to be packed, and we will handle the rest. From full-service packing to partial packing, we offer it all. One of the most important moving steps is to start out with the right packing supplies. Whether you are relocating your business, moving to a new home or country, proper packing supplies will make sure that your valuable items arrive safely at the new destination. We can supply high quality and environment-friendly packing materials for your next move. 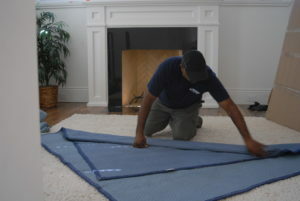 All our moving supplies packages can be customized to suit your specific needs. South Florida Van Lines offers air-conditioned storage facilities on both temporary as well as permanent basis. We can provide just what you are looking for with 24-hour personnel at our facility.